Some of us here in the Bogle family are hopeless romantics (ok, so maybe not the brothers…)! But we love the notion of a bottle of wine and what it can add to special times: that delicious dinner for two, a cozy conversation in front of the fireplace, or a quiet night spent gazing at the stars. With Valentine’s Day just around the corner, there are so many opportunities to show our loved ones how much we care. Thanks to those of you who include a bottle of Bogle in your special times together. While the Bogle story spans six (and now seven!) generations, so much of where the winery is today begins with Patty Schiewe and Chris Bogle in the fall of 1969. The two were engaged in 1971, with their wedding taking place just before graduation in March of 1973. As soon as they earned their diplomas, the two packed Chris’ old Ford Falcon and drove down I-5 to start their life working on the Bogle farm. Warren Bogle, Chris’ father, had planted the area’s first wine grapes just before Chris had left for college, and Chris intended to return to tend them. A decade later found Chris and Patty as the parents of four small children and busy with the growing business. More wine grapes continued to be planted, and the fledgling winery was gaining its footing. Chris’ days were spent in the fields with his father, while Patty cared for the household, but still found time between laundry loads and dirty dishes to manage the book work for the ranch. When Warren Bogle passed away in 1989, Chris took over all the agricultural operations, while Patty took the helm at the winery. The family continued to grow grapes for other wineries, but also began to focus on the Bogle label. It was during this time in the early 1990’s that the two began to put together their winemaking and sales teams, many of whom are still working at the winery today. Continual improvements included updated the winemaking facilities and then finally building a tasting room where guests could visit the Home Ranch and enjoy the wines. Sadly, Chris Bogle passed away just before the Clarksburg tasting room was to open in 1997. Patty’s commitment to the entire operation continued as she forged ahead, not with Chris, but with her adult children by her side. With the 6th generation stepping in to contribute, the next chapter of Bogle had begun. 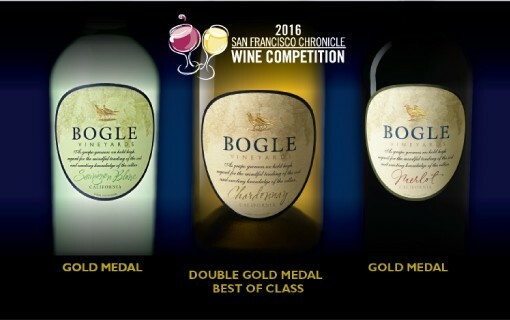 With the first wine competition of 2016 in the books, Bogle wines made an impressive showing with nine of our varietals bringing home awards. The Sauvignon Blanc, Merlot and Petite Sirah Port all earned Gold medals, while the Chardonnay even earned a Double Gold and prestigious Best of Class distinction. What a great way to start the competition year! Judges at the annual competition certainly had their work cut out for them, with a record- setting 7,164 entries from 28 different states. 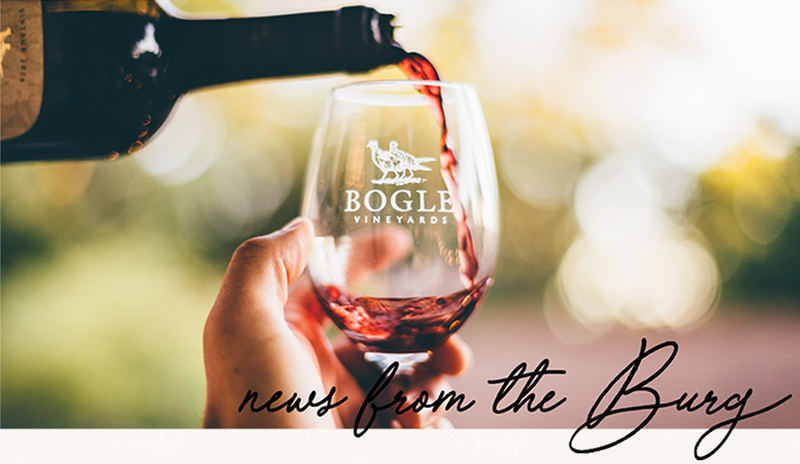 In addition to the Gold medals, several other Bogle wines took home hardware, including Silver medals for the Essential Red, Petite Sirah, Pinot Noir and Phantom, and our Old Vine Zinfandel bringing home the Bronze. Now that the hard work of judging is done, it’s time to taste all those award winners! The SFCWC Public Tasting is scheduled for Saturday, February 13th from 1:30-5pm at the Fort Mason Center in San Francisco. 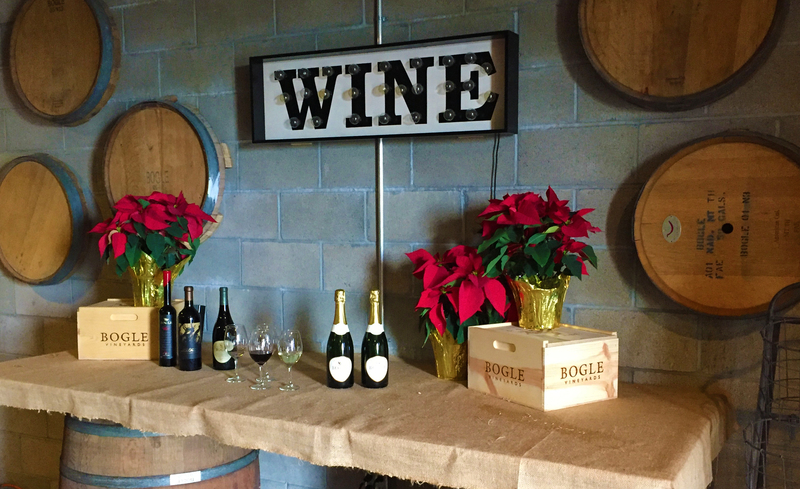 Bogle crew members will be pouring our medal winners at the event. For ticket or competition info, click here! Through February 12th, our 19 year old tasting room will be undergoing a face lift! We’ll be open during construction, and pouring our wines downstairs in our barrel room. It can get chilly down there, especially this time of year, so be prepared if you plan to visit the winery in the next few weeks. Thanks and we appreciate your patience!